Each month, our ‘Meet the Team’ series highlights and celebrates one of the faces that makes Truly Social Games what it is today! 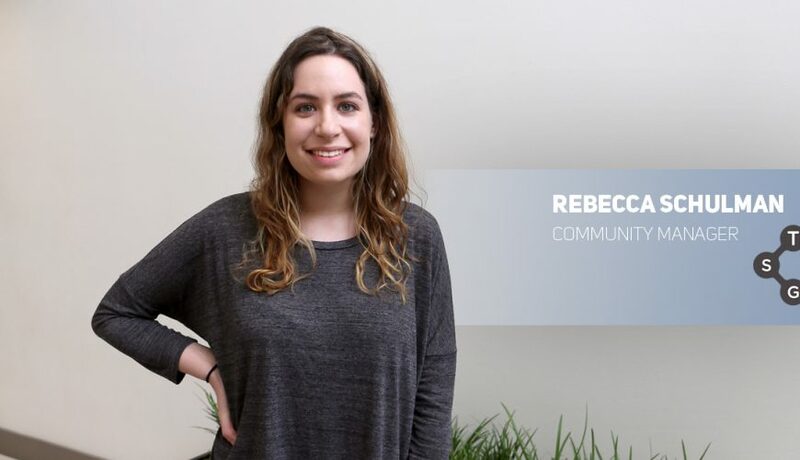 This month, we sat down with Rebecca Schulman, Truly Social Games’ Community Manager. I facilitate all communications between TSG and our players! I’ve always enjoyed playing mobile games, but the possibility of getting to apply my skills on the other side of the screen (so to speak) excited me! I’ve never done anything like it before, so it’s been a challenging but rewarding experience so far. We’re in the midst of bringing a special (and as of now, super secret) promotion to life and getting to head up the social media strategy of that has been really fun. I can’t wait for everyone to see what we’ve been working on! I’m a pretty good singer, if I do say so myself. My fiancé and I recently bought a small RV, and on the weekends, we try to get out and explore as much of the Pacific Northwest as we can! There’s nothing like unwinding in the great outdoors. Plus, s’mores, obviously.